Magnetic Sweepers provide an effective and efficient means for clearing large and small areas of dangerous metal debris. 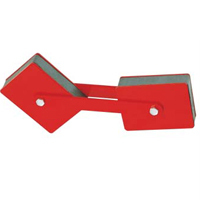 They can be used to collect steel nails, screws, wires, staples, and other metal remnants. Standard designs and various sizes are available. 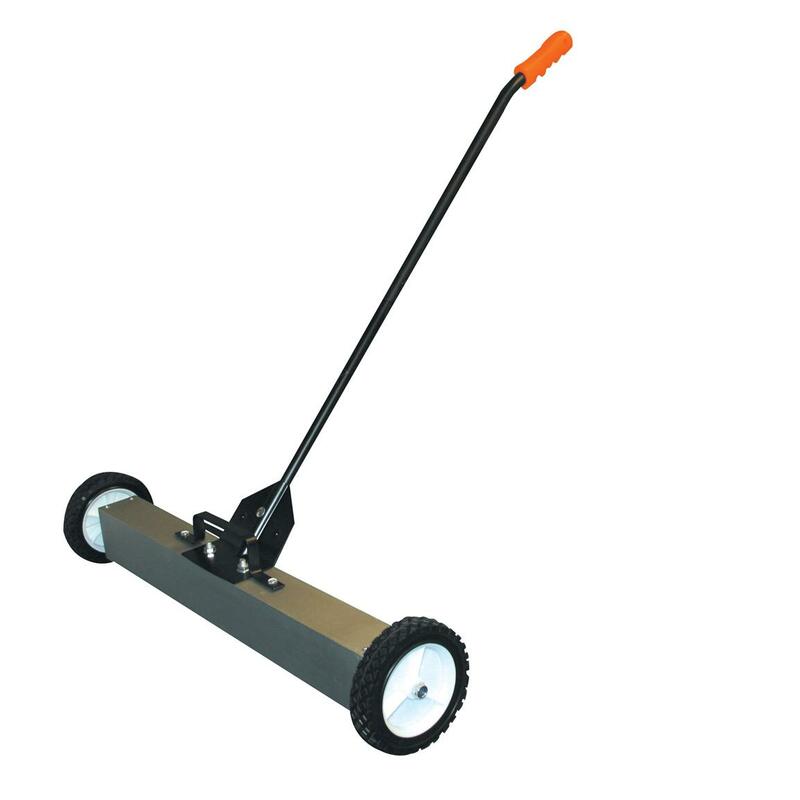 Magnetic Sweepers are built with strong permanent magnets that can be used in a long span of time. •	Works perfectly in cleaning factory aisle, workshop areas, production floors, walkways, loading docks, parking areas, etc. 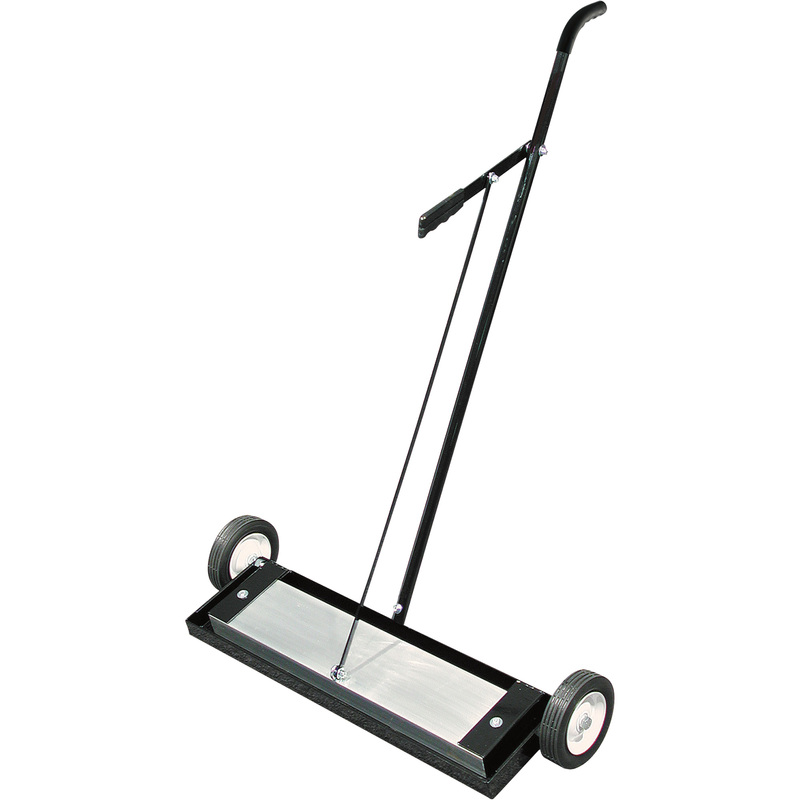 •	The collected iron and steel objects are easily cleaned by pulling the “release” handle in the magnetic sweeper. 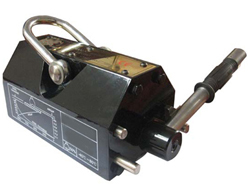 Our Magnet Lifters have strong magnetic path made by strong NdFeB magnetic material which supply permanent power. Our permanent magnetic lifters are made use of in a variety of industries. Our permanent magnetic lifters can hoist iron, steel blocks, cylinder and others and provide a quick and convenient method of loading, unloading, and moving. 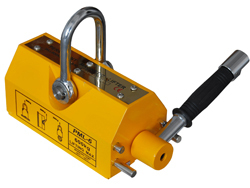 Our permanent magnetic lifters are the most ideal lifting equipment for factories, warehouses, docks and transportation. • Use to lift and transport steel and iron for factories, docks, warehouses, transportation and more. • Turning the manual handle activates or turns off the magnet. makes it easy and safe to operate. Effective for long periods with no need for a power supply. What is Welding Magnet? Magnetic Welding Holder? 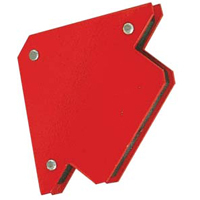 Multi-angle Welding Magnets are designed for fast and accurate holding of flat and round ferrous metal for welding and assembly jobs. 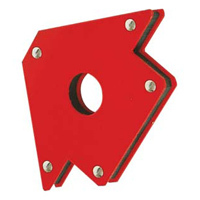 Various angles available from 30°, 45°, 60°, 75°, 90°, to 180° .